Update: W.E.F 25 July 2018, added two additional features. All cPanel account came with a shared dedicated IP. So you do not need to buy a dedicated IP. So, even the server with thousands domain together but those who subscribed through me will get this feature which can speed up your website loading page. And also because of this addon, allow you to make your site a secure https:// access using the free SSL certificate. A weekly backup plan is installed. 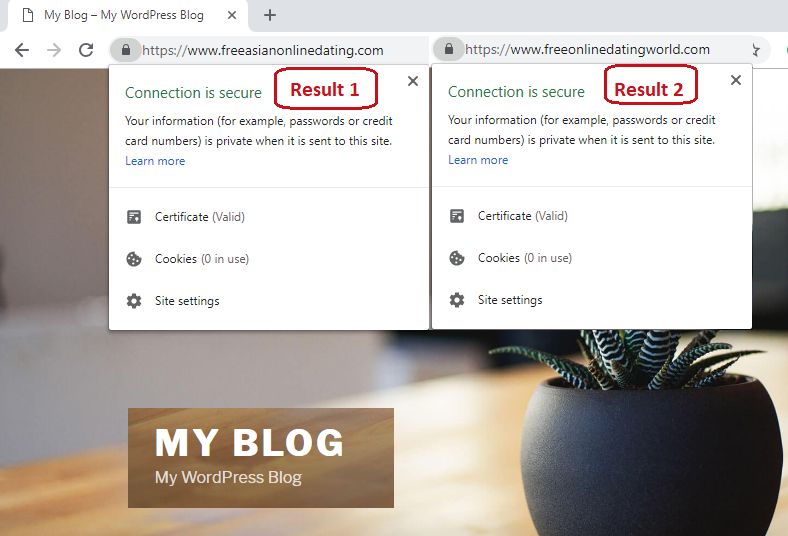 NOTE: This hosting does not come with a free SSL certificate! But the good news is, with the dedicated IP I paid every year to cover the whole cPanel account(This feature only to my own customer), you can easily install Lifetime free certificates(Let's Encrypt)) with 90 days renewable. A video guide of how to install the free certificate to the server is included on the attached file which will be sent to you. Unlimited Addon Domains including subdomains. Server Network - 1000 Mbps! Free WordPress Advanced Video Training - Gain More Skills And Expertise Overnight! ATTENTION: The Free Giveaway will only deliver to you once the service is mark completed and SEOclerks inbox message for the request. Thank you! Our server run in Fully Automated Virtual Data Center spread over US, UK, & Canada This allows us to offers more stable and reliable hosting services with zero risks. Multiple bandwidth backbones provide redundant network availability. Each of our networks is equipped with Internap FCP which monitors our network for end-to-end latency, packet loss, route stability, and congestion. cPanel & Cloud Linux OSCloud Linux OS offers better protection and individual website isolation with CageFS and LVE manager. Scripting & DatabasePHP 5.x, Perl, Python Support. Mysql 5.x Database Support. In SSD Caching enabled accounts, Mysql DBs run from SSD drives for very high speed and performance. Email and Spam ProtectionSmart Phone and Blackberry compatible mailboxes. POP3, SMTP, and Webmail Access. On Demand and On-Access Virus Scanning. Spam Assassin protection. 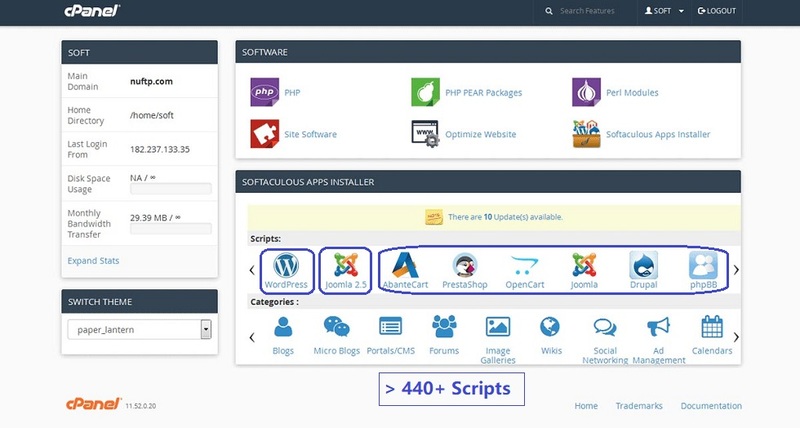 Apps Installer Install widely used apps like WordPress, Joomla, Mambo, osticket, PerlDesk, phpBB, OS Commerce, 4Images Gallery etc in a single click using Softaculous. ISO certified organization serving hot startups & blue chip customers since 1998. Trusted by 25000 + resellers in 90 + countries. Industry acclaimed Technical-Support with Industry's best uptime record. Hosted by Intel Xeon Dual Hexa Core 256 GB RAM Server with SSD Caching. 1) We hate these Common problems as much as you! PHP Version 5.6.33 is fixed to serve thousands of shared-hosting domain. Because of thousands of domains running on our shared hosting, To protect our clients, we will not tolerate one of the usages like sending a bulk email message. Unsolicited commercial advertisements (‘SPAM’) and mass send email are not allowed in e-mail, and will likely result in service termination. So, we take a zero-tolerance approach to SPAM originating from its servers or for spam advertising of domains hosted within our network. If found, YOUR account may be suspended, if no action within 24 hours your account get termination and no refund. 4)PHP Version 5.6.37 is fixed for security purposes to serve thousands of shared-hosting domain. 5) Industry acclaimed Technical-Support with Industry's best uptime record. Near 100% uptime running with "zero" complaints so far. 6) Unlimited Addon Domains or Unlimited websites. You can add as many domains as you like. 7) As far as the server is concerned you are connected to a 1Gbps port speed. 8) With the shared dedicated IP, you just need to get a positive SSL. The good news is, with this addon, you can easily install Lifetime free certificates(Let's Encrypt)) with 90 days renewable. Must know: In our shared hosting environment, you can have a maximum of 75000 inodes. Read first, before ordering. This is to maintain the stability, 100% uptime running of our shared hosting with thousands domain on the server. If you are not using heavy scripts, heavy loading WordPress plugins, images, videos etc, you are good to go for blogging and building a static website. Before I can create the hosting, please provide your own domain you bought from the domain registrar like Godaddy, Namecheap etc or free domain(I can suggest to you if requested after the order is placed). Note: Any order without providing a domain(Active domain & not expired domain), the order will be rejected, canceled and refunded. Why do you need to provide your own domain? 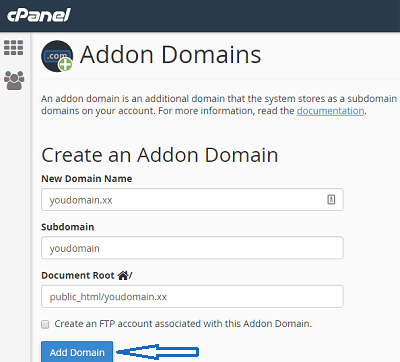 This because we need a domain for creating a cPanel account with your own domain. To install the SSL certificate of your own, you must get a dedicated IP first. Approximately a dedicated IP costs around $24 to $36 for one year. But now, it is free! 1. Update: 06 July 2018, with effect from 25 July 2018, all cPanel account including a shared dedicated IP. What does that mean? That means you do not have to buy additional dedicated IP. All you just have to buy an SSL certificate to make your website secured access with https://, additionally, with dedicated IP, the server speed will load faster than before. You can buy a positive SSL certificate 1 year for 1 domain from us directly through the extra service during the ordering. Please note that every hosting provider has different features as well as different packages and prices. The features and prices will differ among from one hosting provider to another depending upon on various aspect. Therefore, the price for SSL on our hosting is the standard price. 2. Update: 25 July 2018, with effect from 25 July 2018, all cPanel account will have a weekly backup. All info inside the PDF will be sent to you during the time of delivery. 3) All the above info inside the title: "how to backup the complete cPanel". 4) Two sites to get the cheapest positive SSL certificate as low as few dollars a year. ***Pinging Server***: For certain countries might have the ISP network connection problem, kindly inbox me for a test. This is because we are confident that our server at Arizona is near to 100% up and running. 1) I will Install Free SSL Certificate With Lifetime Renewable in 24hrs but on one condition. Visit here to view the current time in Kuala Lumpur and see if I am available for these hours. Orders will not be processed outside these hours which can be viewed by checking here If you have a question please "Inbox" me. 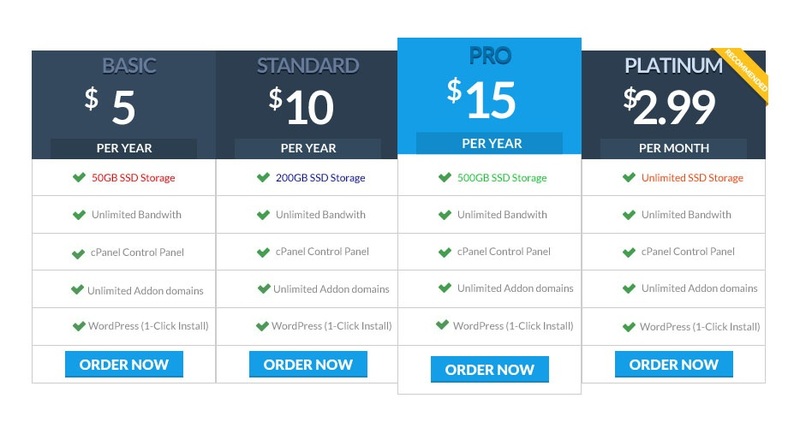 The Most Affordable 1 Year cPanel SSD Hosting is ranked 5 out of 5. Based on 26 user reviews.